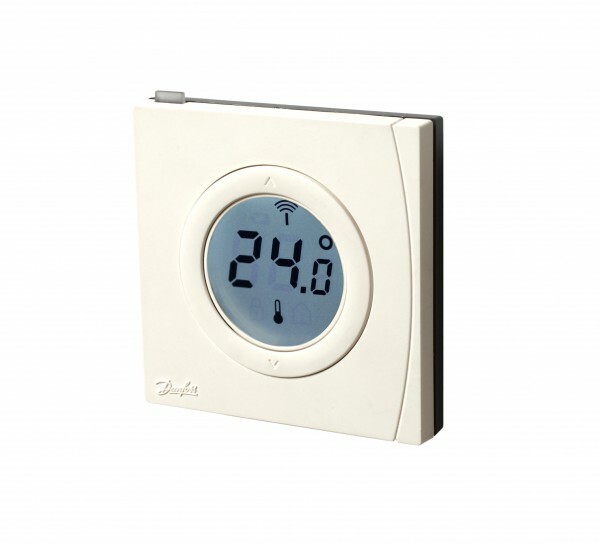 Product information "Danfoss Temperature Sensor"
Beside the two front buttons the device has one more button on the top side. The use of this button can be defined by the central controller. Possible functions can include a temperature boost (heat up as soon as possible) or the activation of an energy saving mode. Related links to "Danfoss Temperature Sensor"